The hype surrounding NVIDIA’s RTX 20 series may appear to have settled down somewhat as media buzz begins to quiet down ahead of the embargo end date in the weeks ahead. Tech reviewers on the other hand are hard at work prepping for that big review day and leakers are working just as hard to keep the leak scene as hot as ever. Today we’re greeted by one of the biggest leaks yet, demonstrating the performance of the company’s brand new top dog GeForce RTX 2080 Ti graphics card. According to videocardz, the 3DMark Time Spy entry was likely leaked directly by an NVIDIA or an AIB employee, because at the time it occurred no working driver for Turing had been sent out to any tech journalists that we know of. Perhaps this is the company pouring some gas on the Turing media fire to keep us hooked for just a little bit longer. 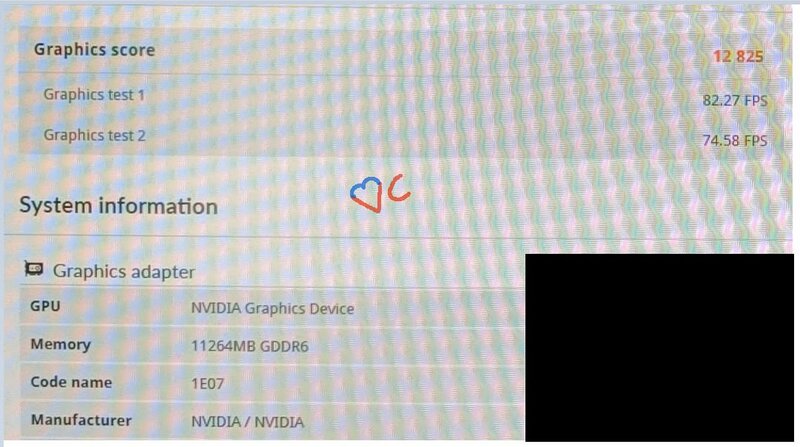 If this leak did in fact originate via a system in NVIDIA’s or one of its AIBs’ test labs, this may explain why the leaker could have been forced to take a photo of the screen rather than a screenshot. It’s crucial to point out that at this point in time there’s absolutely no way to verify that this is a legitimate entry, hence the rumor tag above. With that being said, if this Time Spy graphics score is accurate then the RTX 2080 Ti has managed to outpace the GTX 1080 Ti Founder’s Edition by almost exactly 35%, which scores around 9500 points at stock clock speeds. By comparison, the GTX 1080 Ti outperformed the GTX 980 Ti by 79% in the same test when it came out last year. This means that either Turing is running into some form of bottlenecking issue here, or folks might want to start seriously taming their expectations for the green team’s new $1200 card. We certainly hope it’s the former. Although realistically speaking, only a few days ago NVIDIA confirmed that the RTX 2080 Ti will be between 35-45% faster than the GTX 1080 Ti depending on the scenario, so 35% is certainly within the margin the company had laid out. 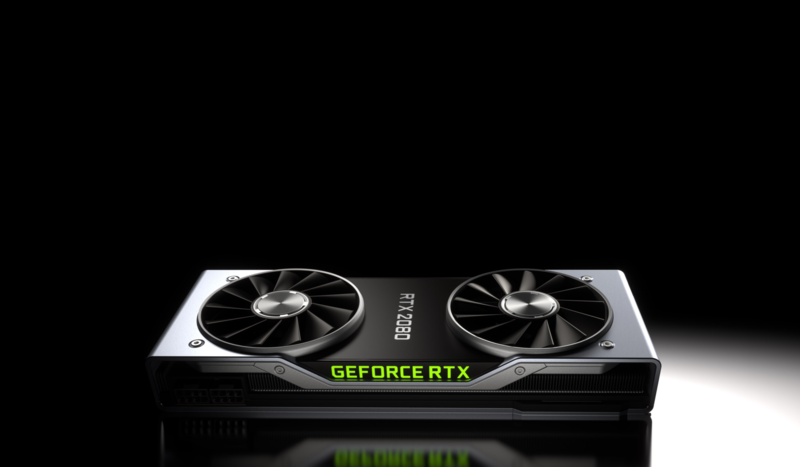 It looks like that with RTX 20 series graphics cards we have effectively hit the most severe form of diminishing returns in terms of performance per dollar we have ever seen out of a new generation of graphics cards. Something I certainly hope we will look back at as a momentarily blip and not a trend setting precedent in 2019. Admittedly however, if you don’t mind spending the money and you’ve fallen in love with NVIDIA’s RTX ray tracing and/or DLSS tech this isn’t likely to faze you. And if the number of RTX 2080 Ti pre-orders is anything to go by, there’s clearly a lot of people out there more than happy to pony up the dollars necessary to get their hands on big Turing.